Get Ready for Some Christmas Contests! Here at My Dreams of Disney, we have teamed up with some great Disney friends and will be having a whole bevy of contests for you this month! Do you need some extra Disney cash for the holiday shopping you’ve got on your list? Well, then you’ll want to come by MDOD during the month to enter to win! It all starts with a great contest that is being hosted by my friends at Chip & Company! Who wants to win a $400 Disney Gift Card? To enter the contest, you’ll need to follow the requirements on the Rafflecopter widget located at Chip & Company. Look for the official post tomorrow kicking of this incredible contest! Who wants to win a $150 Disney Gift Card? Look for more information on this as we get closer to the contest date! Who knows, we may even have more contests for you, so stay tuned! Good luck everyone! I don’t know about you but I love Christmas! In fact the only thing that makes me happier than Christmas is a Disney Christmas! But beware; you need to carefully consider your plans when planning a yuletide visit to Walt Disney World or what begins as magic will turn into a nightmare! Disney begins getting ready for the holiday beginning in early November. Personally I find that a little too early to enjoy Christmas decorations. However, I have found that hitting up the “World” the week after Thanksgiving is a perfect time. The weather is comfortable and the crowds are much smaller than Christmas week (my biggest advice is that if you actually head to Walt Disney World the week of Christmas/New Year’s Eve expect VERY crowded parks with long lines and waits). In fact, going the week after Thanksgiving, the longest wait I had for a ride was at Splash Mountain and I waited 15 minutes! 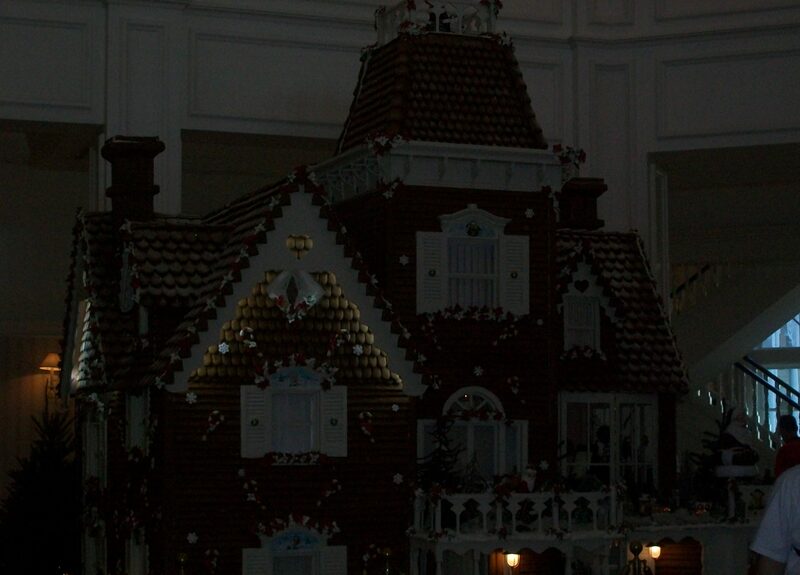 This is the gingerbread house in the lobby of the Grand Floridian. There are people and a counter there where you can actually purchase gingerbread houses! 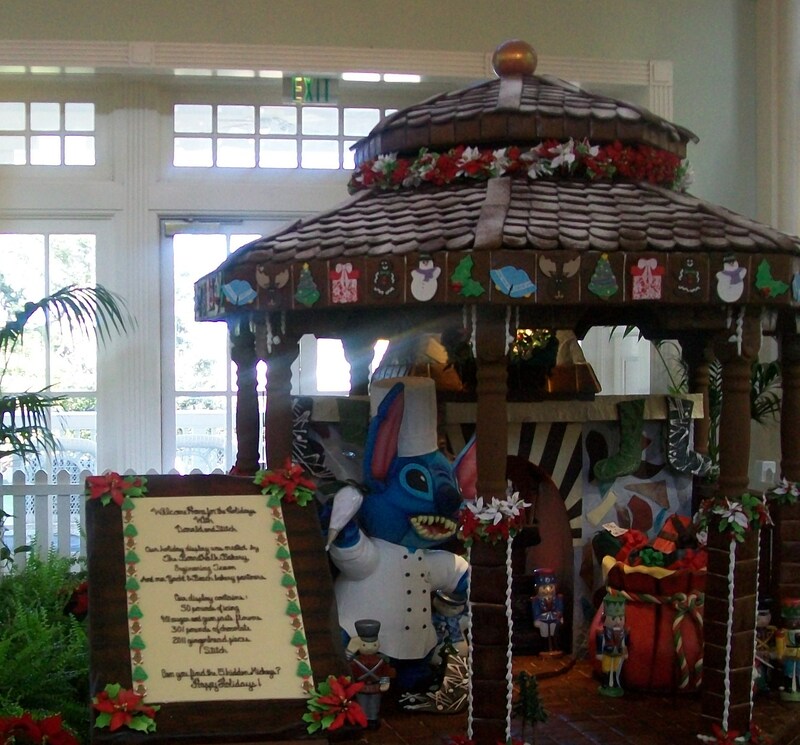 This gazebo was in the Board Walk Hotel’s lobby in 2011. Downtown Disney gets in on the act. 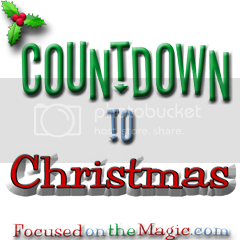 In previous visits I have seen a skating rink (yes, people were ice skating in shorts) and a Disney trip is never complete without a visit to the “12 Days of Christmas”. It’s exactly what it sounds like, a Christmas shop that’s certainly Disney inspired! Last year, my daughter and I visited the Magic Kingdom the second Friday after Thanksgiving (so not “black” Friday but the Friday immediately after that) and were pleasantly surprised to find that they were recording the musical performances for the Christmas parade that aired Christmas morning on ABC. We saw Scotty McCreery and Jennifer Hudson record their songs. Jennifer Hudson looked like she was ready to attend a “princess” ball in her dress for the Christmas parade special that aired on ABC Christmas morning. 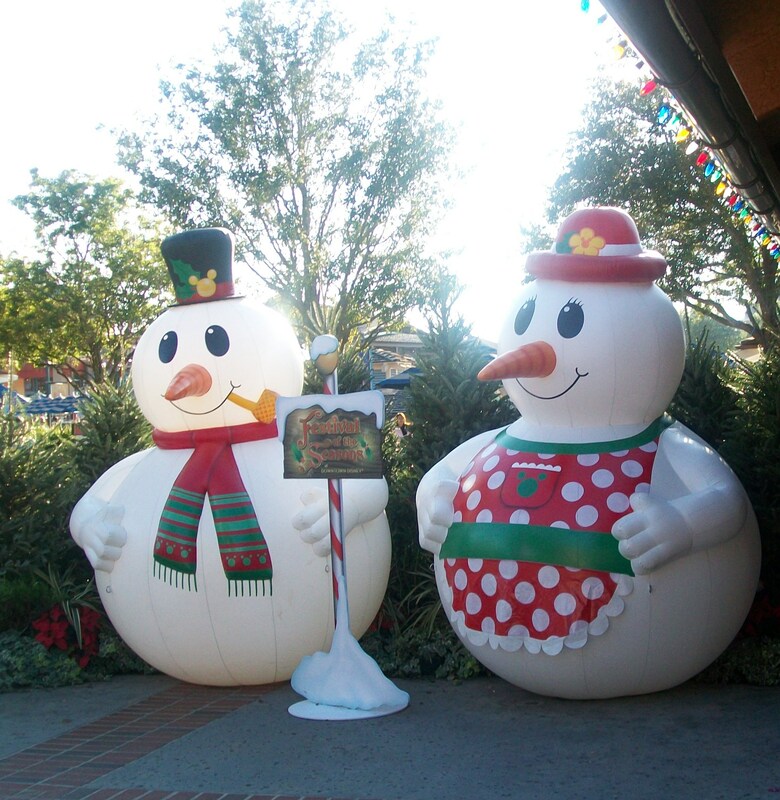 Of course each park gets in on the Christmas magic and each park has its own special touches. The Magic Kingdom has Mickey’s Very Merry Christmas Party, Epcot offers the Candlelight Processional and Disney’s Hollywood Studios has the Osborne Family Spectacle of Dancing Lights! I haven’t experienced any of them yet but all of these are on my to-do list. You can find plenty of information on the Walt Disney World site if you would like further details. Merry Christmas! I hope I have given you something to think about or to look forward to if you are planning a Disney World trip for the Christmas holidays!